I am soooo excited, I can't stop it!!! Ira are you there? Too much Pepsi and Peanut M&M's, I was up late last night and found the mother lode of punches!! The website is: www.franticstamper.com Ira, I know you like making flowers, this is for you. They have every punch available, I believe. I am a nut on punches, and that is saying it mildly. I have been looking for a reasonably priced ivy punch. 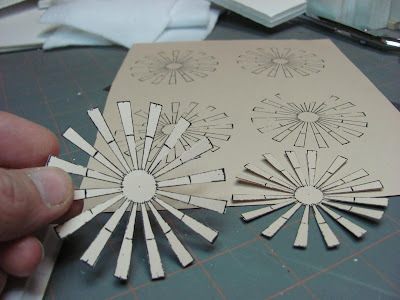 I love you Ruth Hanke, at Hanky Panky Crafts, you brought miniature flower making to me, but those custom punches are too expensive for an amateur, and believe that's what I am, to buy. Thank you Drew Hall for my last sale because that's where your money is going, buying me some punches!! 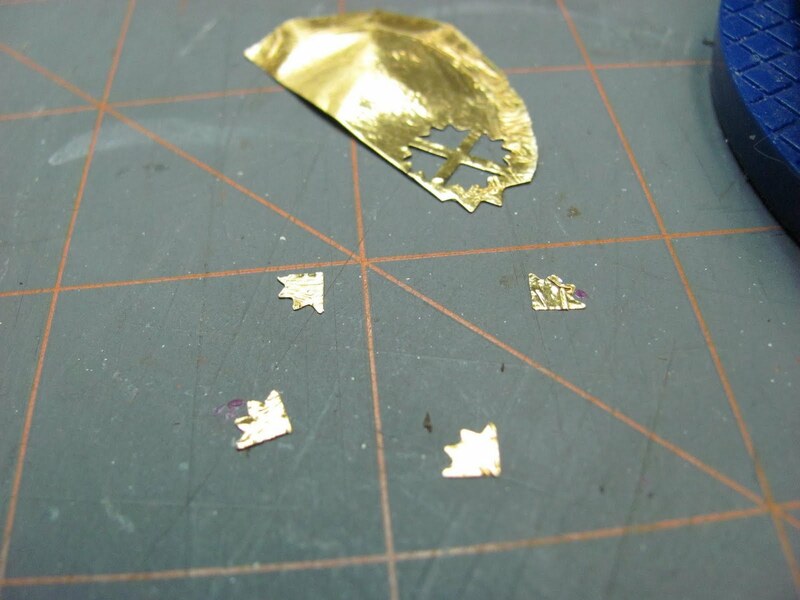 When you get to the site, go to the punches or go to Manufacturer, then Punch Bunch. They have mini punches, the ivy leaf is 1/4" to 5 /16", too big I think, will get to the good ivy punch, the geranium leaf looks good and I love geraniums, buying. They have fern stems, good fillers and lots of other fillers, dusty miller, too. Contacted them and they got back to me this morning! 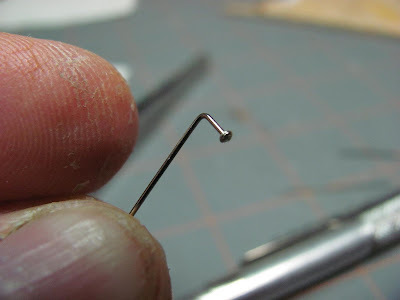 The mini punches are 1/4" to 5 / 16". Go to the Punch Bunch Art Frame Punches. These are beautiful, looks like tile. 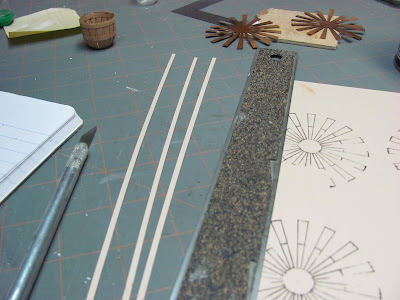 Blog entry: make a tile floor. Choose your punch and punch some squares and decoupodge them onto another color, custom tile floor. Under Frantic Stamper in the manufacturers list, they have some art frame punches, too. I am buying their suede paper, they say it goes through ink jet printers, having trouble with the stuff from Dragonfly Intl. Going to try this. It comes in 8 1/2" x 12" or 12" x 12". They have printed suede paper, carpeting!? Fiskars has a new punch, it punches around a large oval, they have one featuring ivy leaves, going to buy it and try it out. Last but not least is they have a 1/2" square punch, been looking for one for paper piecing or English piecing for miniature quilts. Don't have to print out squares and cut each one out, uhg! Now if only they would get the hexagon for Grandmother's Flower Garden! Am I asking for too much!? P.S. 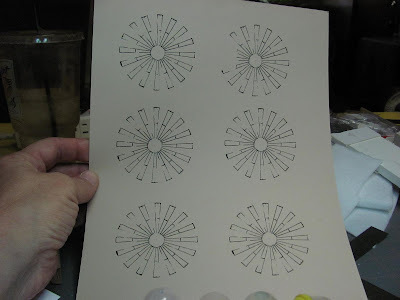 Look at the other punches, you can use parts of them for little blossoms for geraniums and daisies, tear drops for tulips and roses. Hi Guys, thank you for the compliments on the basket. I hope you all enjoy making it, it's fun to do and the results are worth the time. My white board is filling up with orders so I will be working to get these done. I will be putting up another project by the 20th of November, that's the date of the month I shoot for. I am going to make some imitation hinges. I have saved, (what haven't I saved? ), some heavy foil from candy chocolate coins. 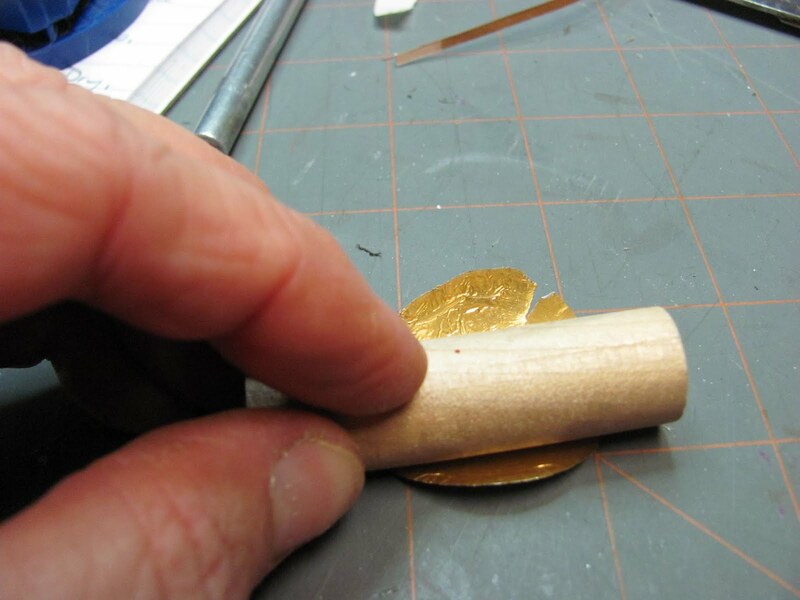 Roll a dowel over the foil to flatten. 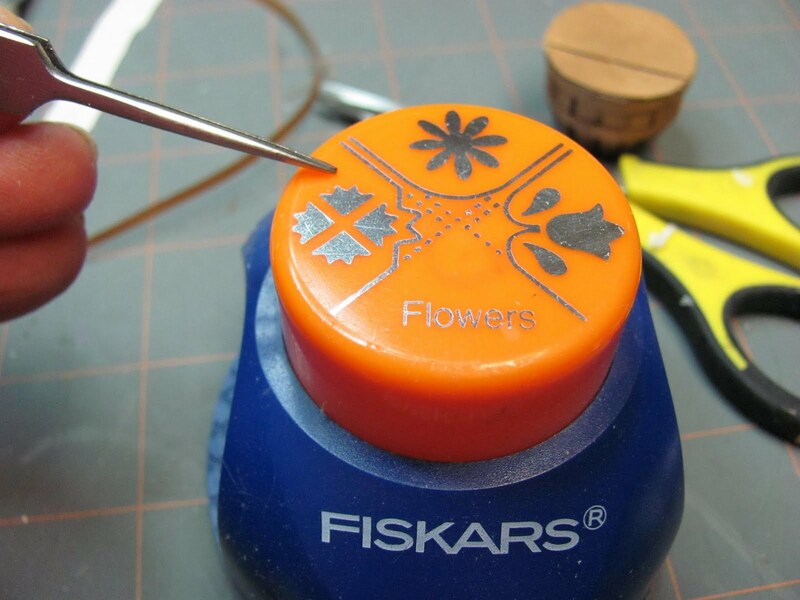 I used the Fiskars corner punch, "Flowers", the shape my tweezers are pointing to. A note on this punch, it's a good one for making daisies and I will be using it shortly for a project with flowers. The "Leaves" corner punch is good, too. You can cut rectangles for the hinges, they are just as nice. Punched out shapes for the hinges. Glue the punched shapes onto the top of the lid. Don't faint, I used tacky glue for this. 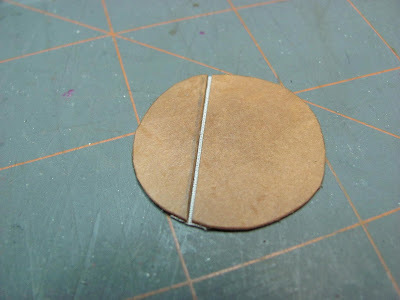 Now make a hole at the center edge on the larger part of the lid. This is for the knob. Bend a straight pin as you did for securing the handles. Leave less space at the head, though. You are only going through 2 layers of card stock. After I bent the pin I painted the head with white paint mixed with glue to make the paint "stand up" and made a knob shape. Let this dry. 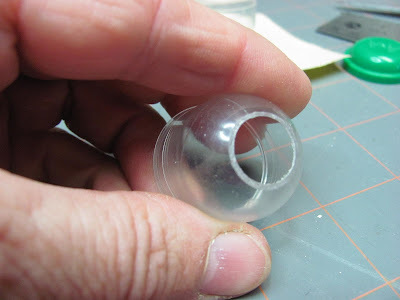 After the pin/knob is dry insert into the lid placing the lid into the 90 degree angle and clip off the extra pin. 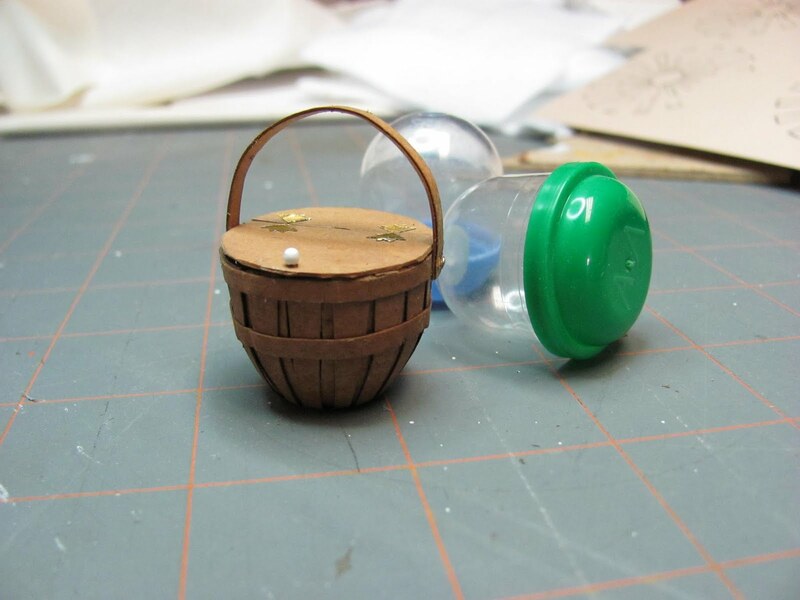 Now you can glue the lid onto the basket. Looks like you could go on a picnic, doesn't it? Please ignore that I have my lid on all ready, it's easier to make and attach the handle before lid. Glue two layers of the 1/8 inch wide card stock together. While this is drying bend it over the side of the basket to shape it. 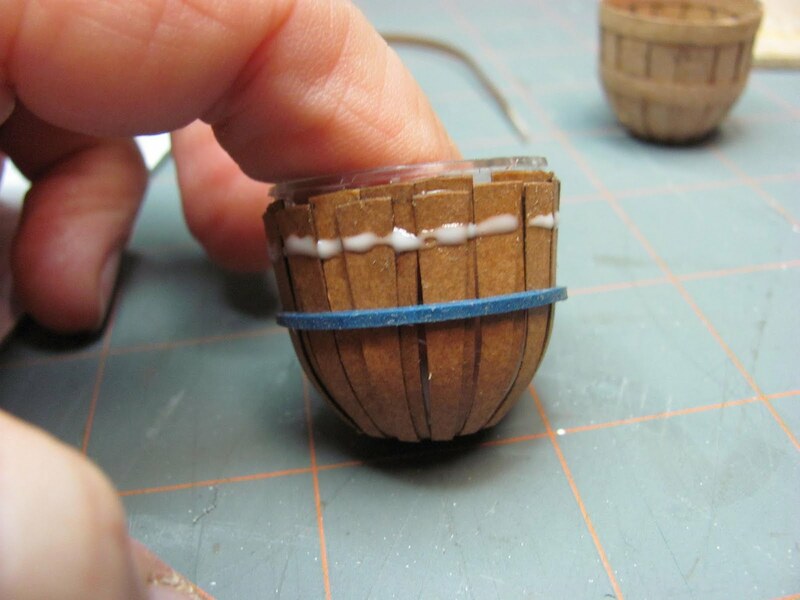 Be careful not to glue it to the basket, don't laugh! Let this dry and harden. 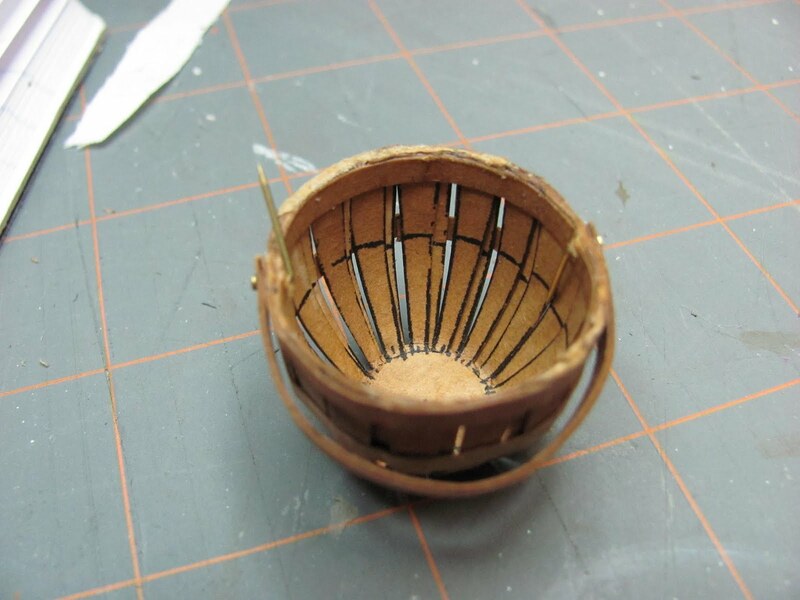 Find the center of each side of basket and make a hole. 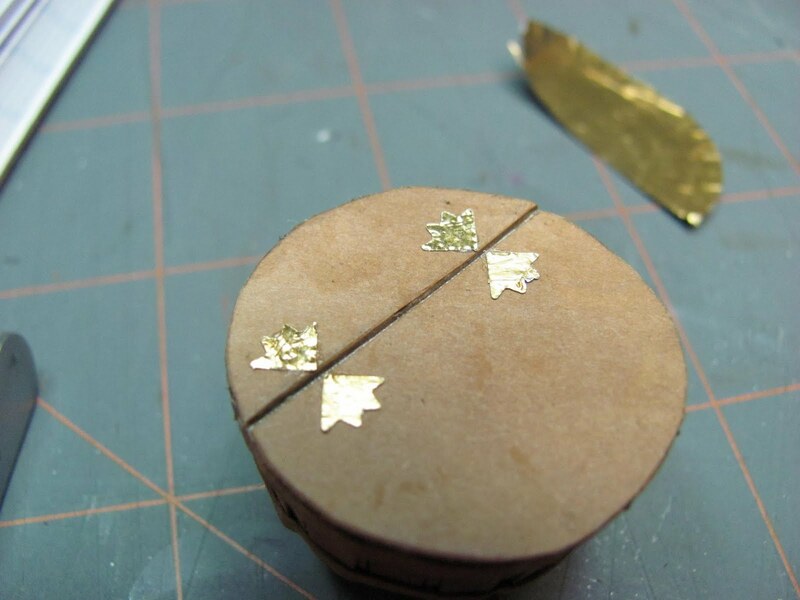 Use a "T" pin or small drill bit in a pin vise to do this. When the handle is dry trim to length and make a hole in each end. 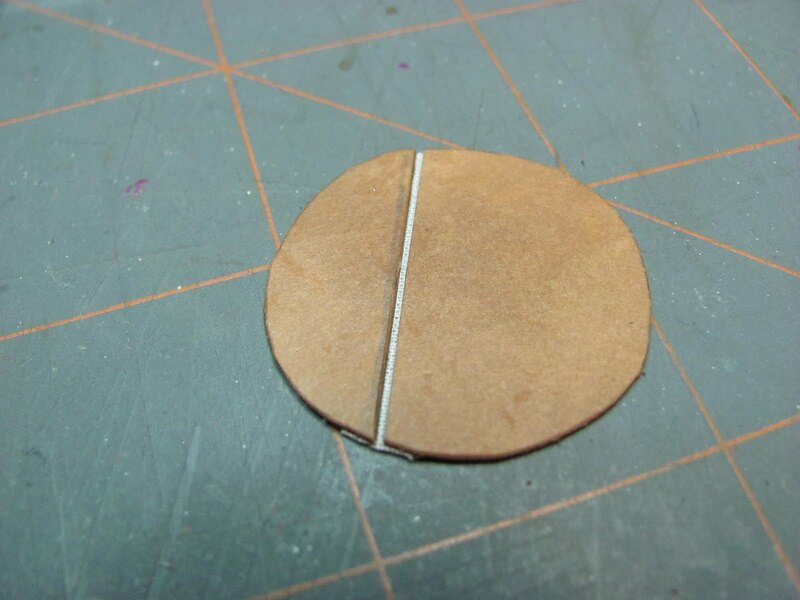 Bend a straight pin at a 90 degree angle, I left a little less than an 1/8 inch at the head. Now push that pin through the handle and rim of the basket. Use needle nose pliers to pull the pin and put the handle and rim into the 90 degree angle. Clip of the ends of the pins. 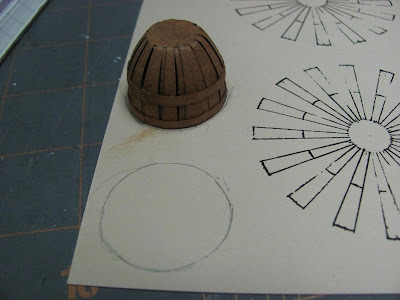 For the lid I turned the basket upside down and traced around the top onto card stock. 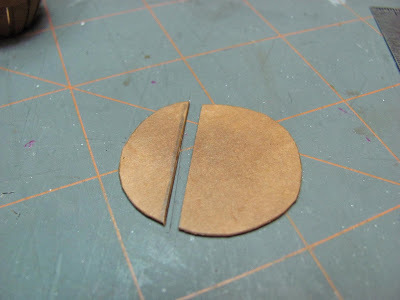 I cut two circles out and stained them. After they were dry I glued them together with Elmer's. Let dry. Cut the lid in two, not in the middle, off to one side. Used my Exacto knife/craft knife to do this. For a hinge I used a small piece of fabric. 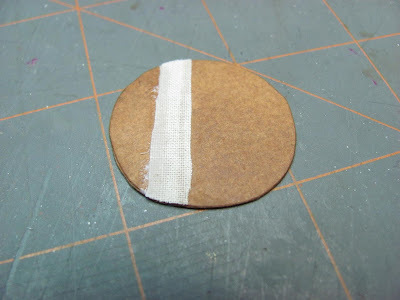 I glued the fabric to the underside of the lid. 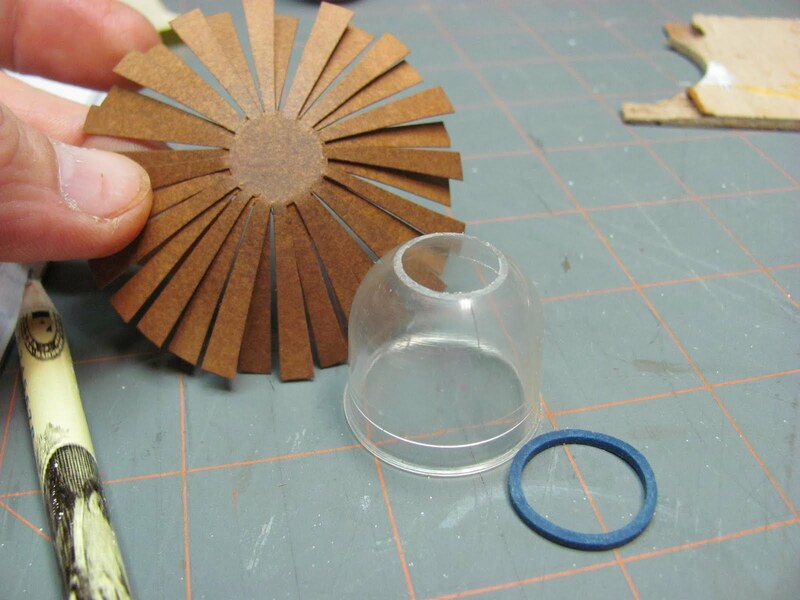 Don't glue the pieces of the lid too close together, leave a hair's breath between the pieces. This for for opening the lid. 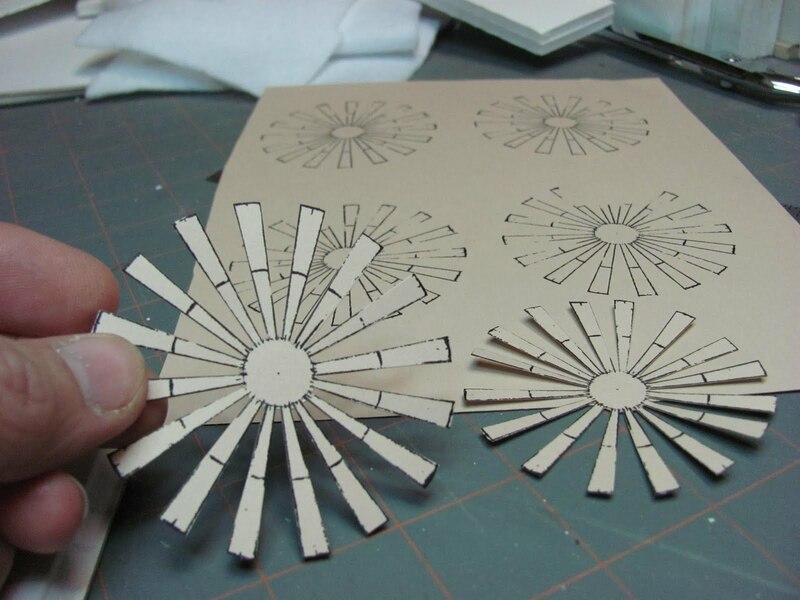 When the spokes are dry, glue the 2 spokes together at the center offsetting the spokes. I use Elmer's glue. My diagram was hand drawn by me and is not perfect. So you will have to turn the spokes until you get to a place where most of the top set of spokes cover the spaces of the bottom set of spokes. I invite someone to redraw and improve my drawing. 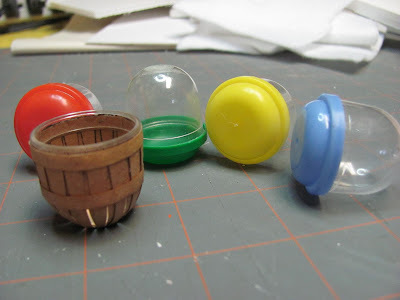 Here comes the gumball machine part plus a rubber band. Place the glued spokes onto the hole of the container and roll a rubber band down over the spokes to secure. Make sure your bottom is even. You will need to straighten out the spokes and make sure the top spokes are on the outside of the basket. I use my tweezers to move them around. The rubber band will hold everything in place. 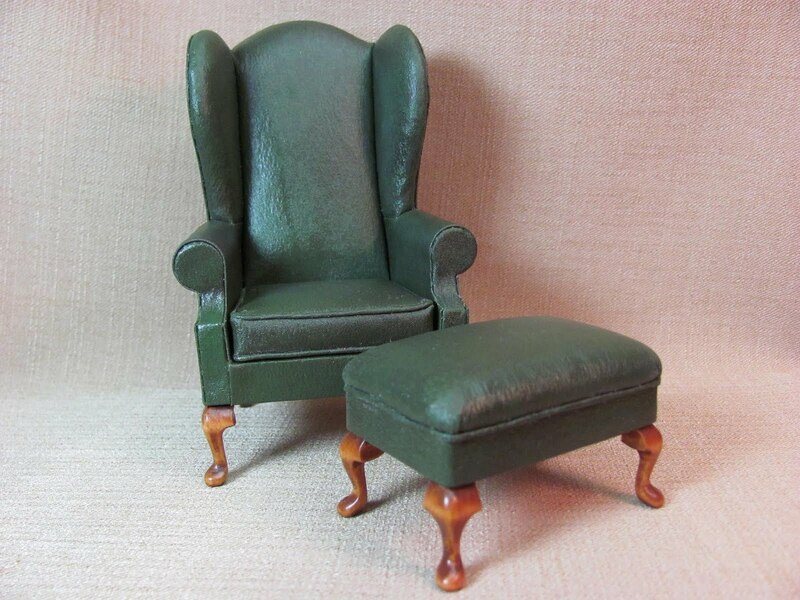 Now, remember this is artisan made, so there are small imperfections, that's what makes artisan objects so appealing! With Elmer's glue, glue the top layer of spokes to the bottom layer where they overlap. 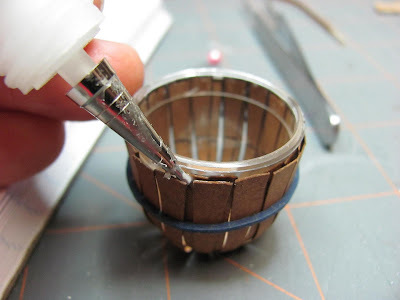 Glue the rim around the basket at the top. 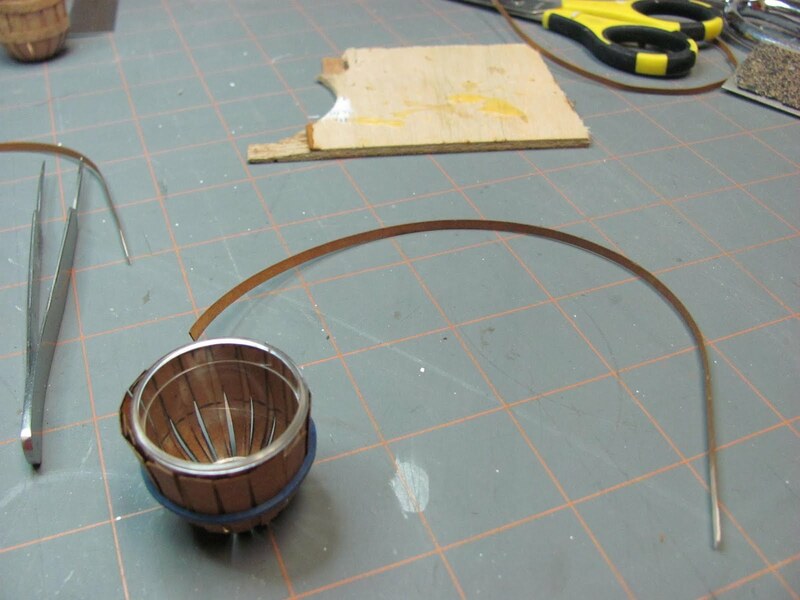 It's easier if the rims and band are curled before you glue. 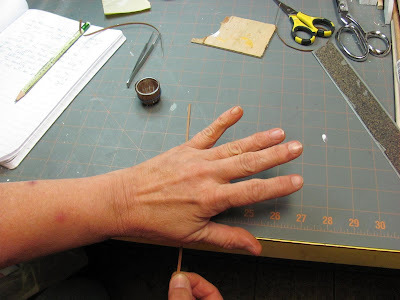 To do this hold your hand at the edge of the table and run the card stock rim between your hand and the edge of the table. You can glue this rim at any height. 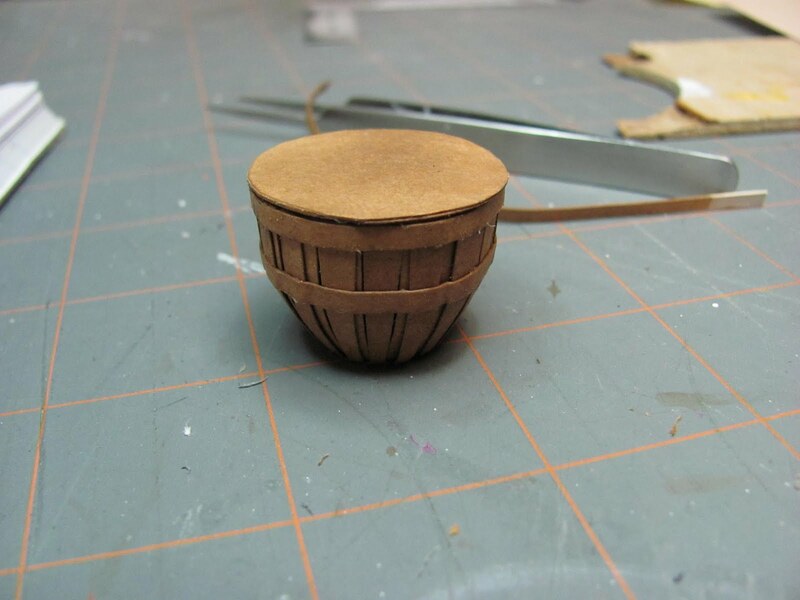 On this basket I am making it a little shorter. Glue the middle band on. I glue it right at the start of where the container starts to get smaller. 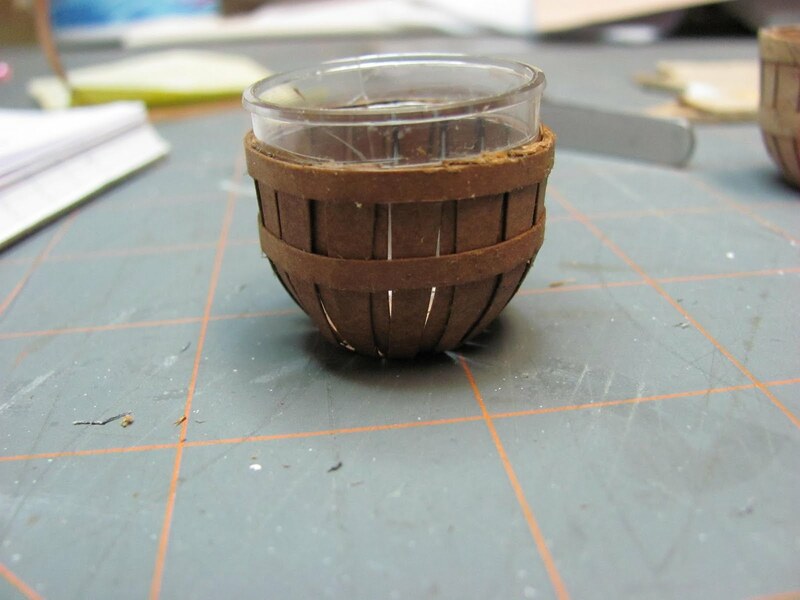 Let the rim and band dry. 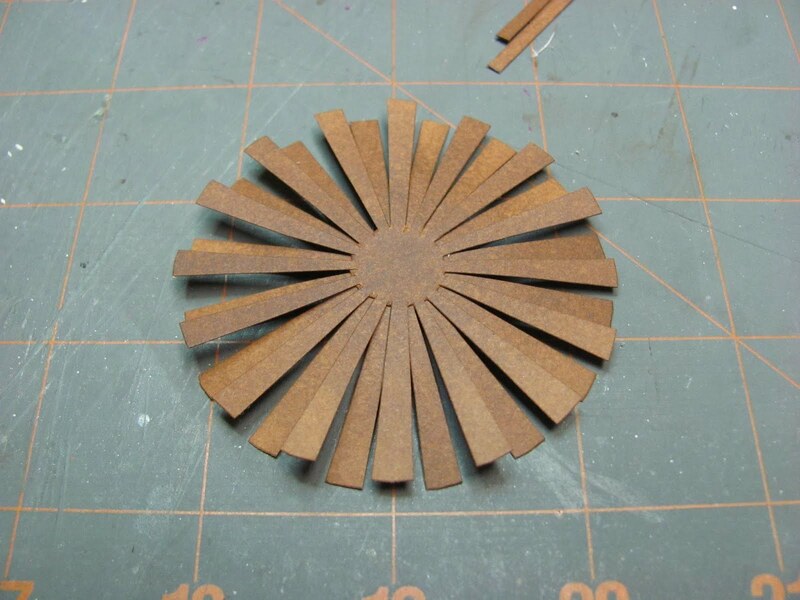 After they are dry, cut off any left over spokes. Now glue a rim to the inside of the basket along the top edge. I slip the basket back onto the container to hold the inner rim on. Be careful to watch if the inner rim slips down. Fix it and slip the container back on. Let dry. 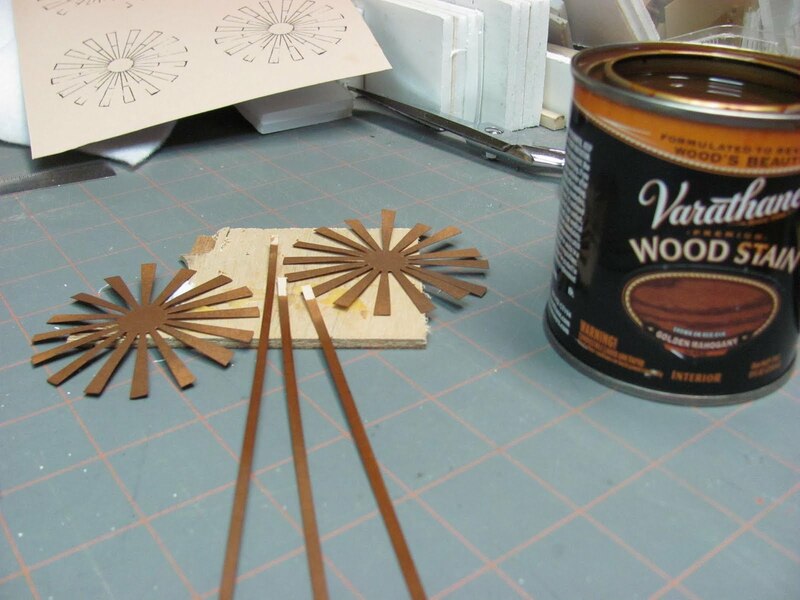 I know that Elmer's can be a pain to work with since we are used to using tacky glues that grip quickly. 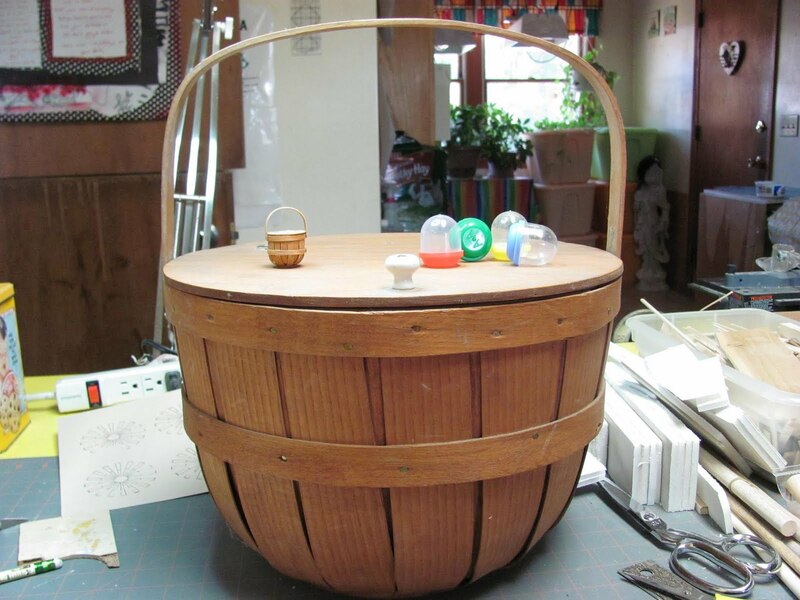 We want this basket to be stiff, like it's made from wood, Elmer's gives us that. 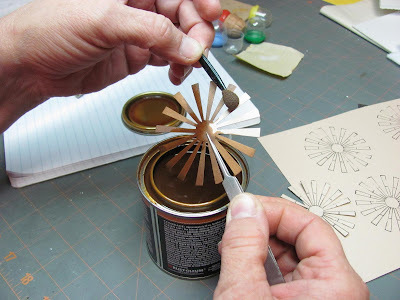 At this point you can choose to leave the top open, attach wire handles at the sides, make a wire bale handle with a wooden handle on it, (blog date: June 22, 2010), or glue 2 layers of card stock together and make a handle that stands up or swings. Lots of choices. I am going to make a basket with a lid that opens and a card stock swing handle. What are gumball machine baskets? I don't know if our overseas friends have gumball machines. These machines are in stores, usually by the door, so the kids can ask for something before you take them home. They take coins, in my day they took pennies and nickels; the top of the machine is glass showing off the little trinkets inside. 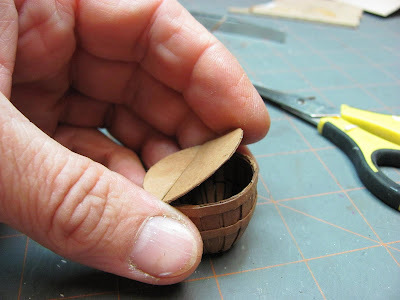 The trinkets sometimes come in small containers; we are using the containers as a form. Gumball machine? 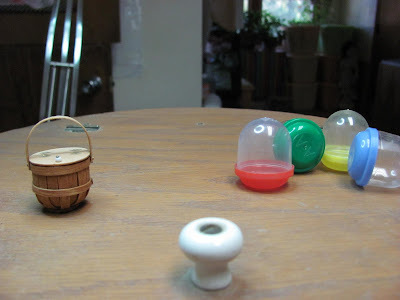 They used to dispense gum in colorful round balls for pennies. The big basket is one that I bought in the Arthur/Arcola area in Illinois. There is a large population of Amish in the area and lots of fun stuff to look at and buy. I fell in love with this basket and bought it. 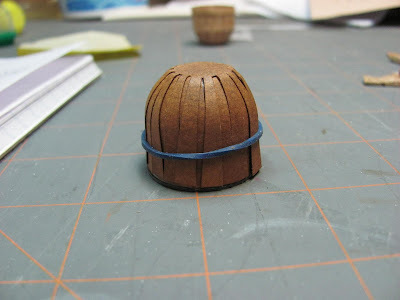 I made a miniature of it using wood veneer steamed and bent over a form. It was a long and tedious project. 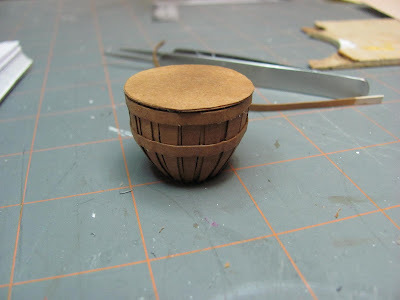 This little basket is in the "Ethan Allen Room Box" blog date: April 10, 2010. That was a long time ago. 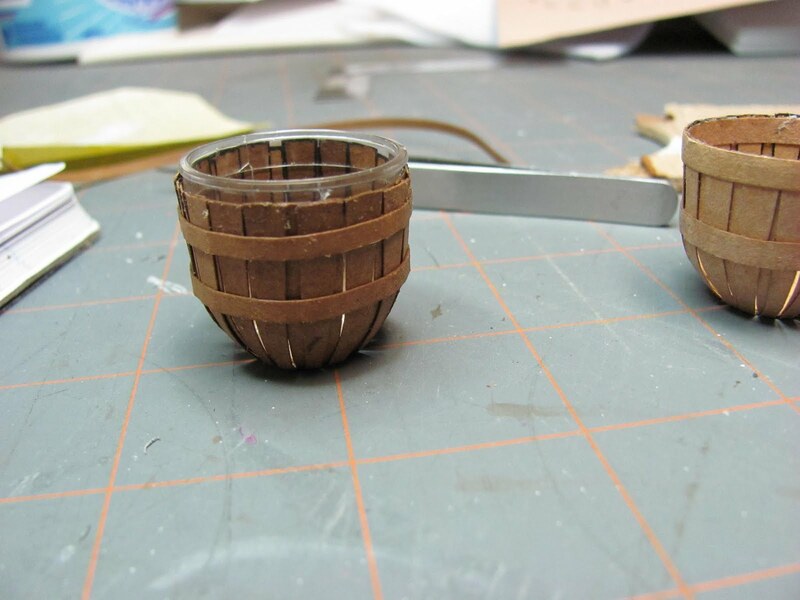 My mind was wandering recently and I came up with an easier way to make this style of basket. 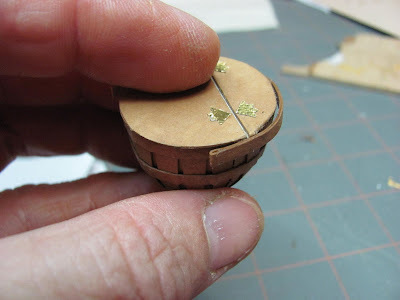 Paper. . . . the miniaturist's best friend. 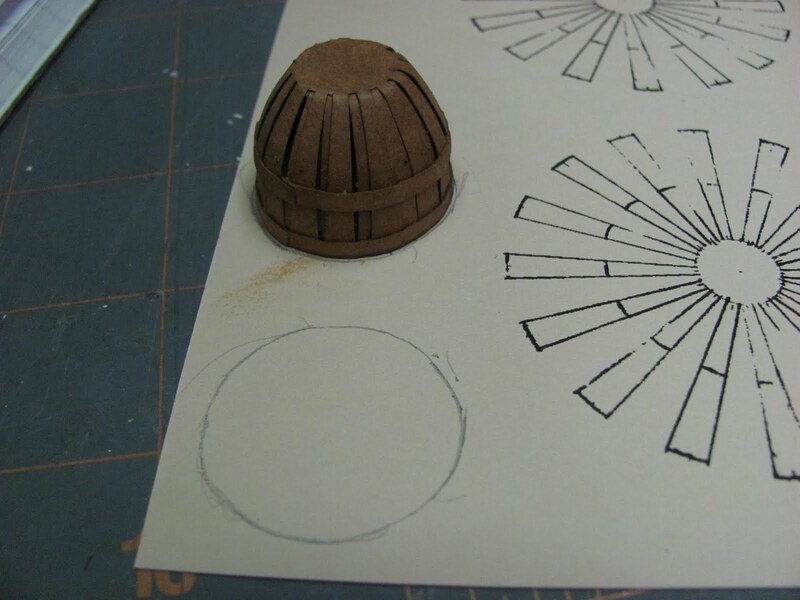 If you think hard enough you can do just about anything with paper. The little container is just a hair over one inch tall and 1 1/16 inch in diameter at the top. To make the container into our mould we need to sand the bottom until we have a hole half inch in diameter. 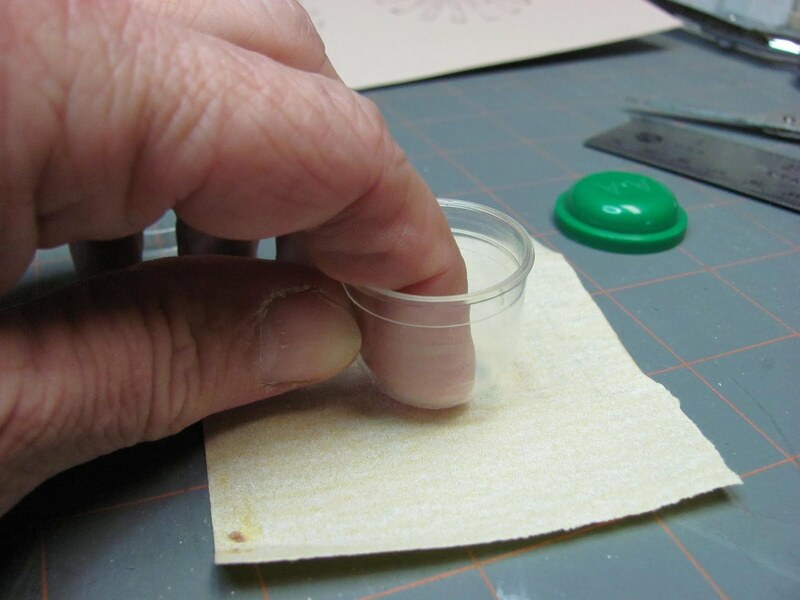 Set the container onto sandpaper and trying to keep it level sand a few strokes and turn the container and sand a few strokes more. Keep turning the container, this helps in keeping the finished hole level with the top. This hole that we are making is the flat bottom we need. 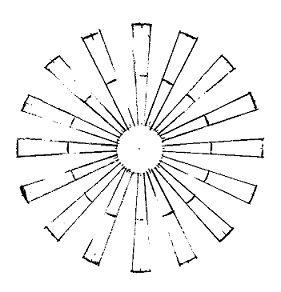 I have given a spokes diagram at the top of the blog. I have printed it out from a trial run on the blog and it's printing just a bit larger than 2 1/2 inches, that's fine. If yours is printing a different size, load it into a program that you can resize in. 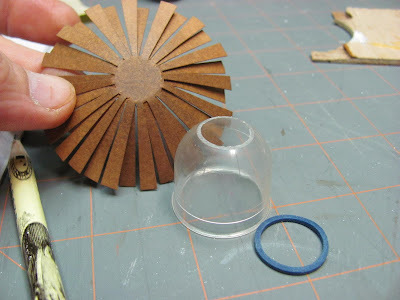 For this container we need the spokes to be 2 1/2 inches in diameter, or very close. Copy and paste the spokes, 6 to a page. Print onto card stock. For one basket you will need to cut out 2 spokes. Cut some 1/8 inch wide strips from the card stock, too. These will be for rims, banding and a handle. I stained the spokes and strips.